Navy Lyres: If only I'd known. Damn. 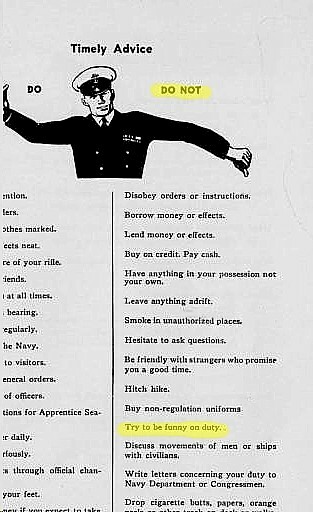 Things would have been a lot different if I'd read this 1943 recruiting pamphlet, "Helpful Hints to the Navy Recruit," before I enlisted. Some of the "don'ts" are obvious: don't disobey orders, don't leave things adrift, don't be afraid to ask questions. 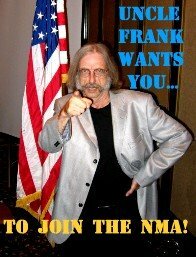 But that one down toward the bottom--I spent 13 years in the Navy, and nobody ever warned me about that.